Let us tell you how to get started painting the town solo in Splatoon 2’s campaign. 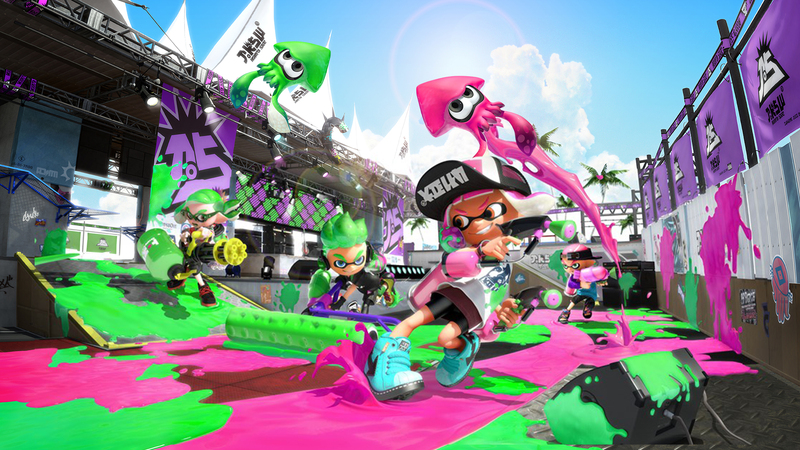 Both Splatoon for Wii U and its sequel, Splatoon 2 for Nintendo Switch, are tailored to online multiplayer experiences. Splatoon 2 features a deep single-player campaign that introduces you to many of the game’s characters and strategies. In other words, you’ll be told an entertaining story, as well as prepare yourself for competition online simply by playing through the campaign. If you haven’t played Splatoon 2 before, you’ll have to go through a short tutorial that introduces the game’s basics and world. The tutorial takes place in an area called Inkopolis Square. As the introduction unfolds, you’ll learn the functions of each building in the environment and get an idea of how to move, shoot, and perform other actions. Once the tutorial wraps up, head forward and to the left of Inkopolis Square until you find an inkling holding a green umbrella. Converse with the inkling and it will transform into a squid before descending through a manhole. Follow, and you’ll arrive in Tentakeel Outpost. A character awaits you in the outpost. If you played the original Splatoon, you might recognize this NPC. Either way, chat her up to receive an overview of Splatoon 2’s plot. After she finishes talking, you’ll learn that three areas are open to you at present. You’ll find the first zone over the hill in the outpost. Splatter it with ink to open the entrance. Finding the second of the three early areas should be straightforward. To enter the third, keep an eye out for a cluster of boxes. Destroy them, then cross the platform and shoot ink at the end of it to access the zone.